Israel’s national flower is the poppy. In the spring, fields are carpeted with these amazing wild flowers of red petals with black centers. 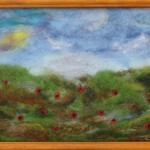 I had this in mind when I composed me latest needle felt design, which I call ” Field of Poppies”. 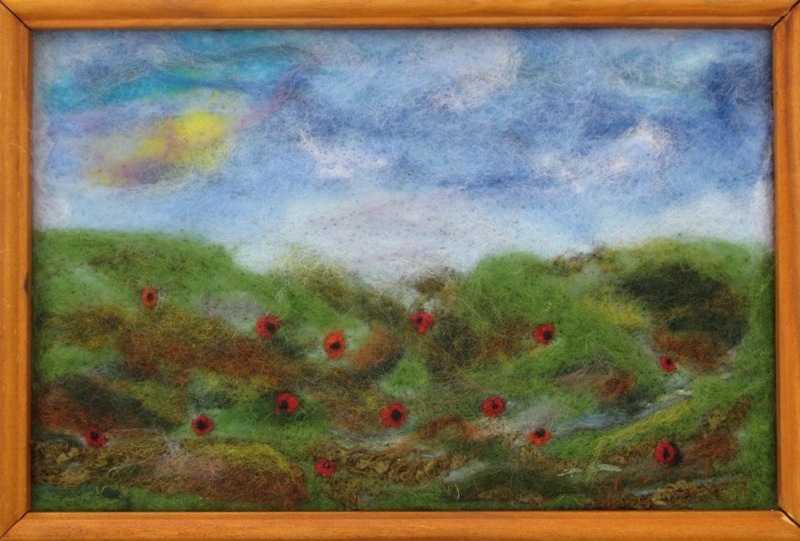 It’s made of a medley of wool fibers sculpted together in a soothing composition. I hope you like it. It’s available on my Etsy shop. So, come visit.